Floods, fires, earthquakes and storms destroy communications infrastructure as readily as roads, bridges and buildings. Even when networks survive, they are rapidly overwhelmed by the volume of traffic as people seek reassurance about those they care for and disaster relief springs into action. Disasters are also when satellite communication (SATCOM) proves indispensable. Flexible, mobile and quick to deploy, satellite provides the vital voice, Internet and video channels needed to manage both the human and logistical challenges of disaster. The first satellite ground systems to arrive in a disaster are typically satphones or Inmarsat BGAN terminals. 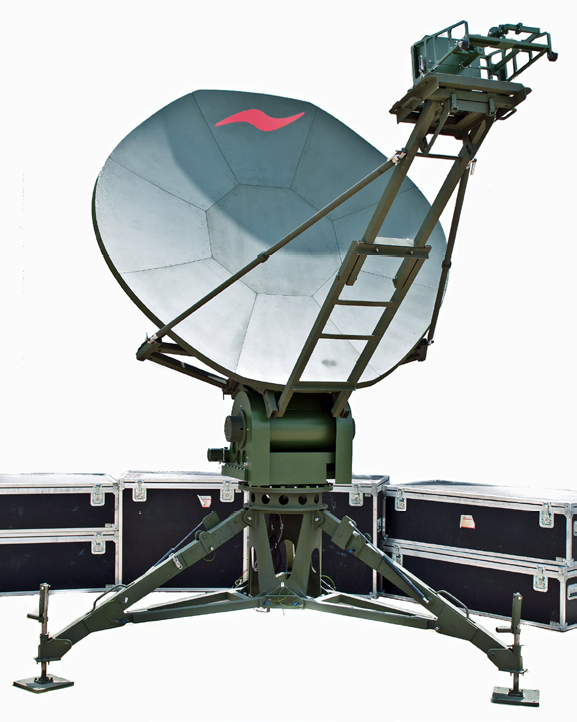 Quick-deploy VSAT with sub-meter antennas quickly follow to provide more bandwidth. However, the data and video demands of a disaster zone can quickly outstrip these portable early-response systems creating a requirement for a full-size ground segment able to get to the site fast and operate reliably in a challenging environment. The biggest challenge for responders is the sheer presence and bulk of a full-size antenna’s reflector and the pedestal required to stabilize the unit. The mechanical and electrical performance of that reflector are critical to delivering the results needed in the field, particularly at the higher frequencies that are quickly growing as a percentage of total available bandwidth. Indeed, one of the advantages of the new generation of high-throughput satellites is the ability to place beams where demand is highest, whether on a permanent or temporary basis. The higher the frequency, however, the greater the stakes for antenna performance on the ground. CPI's ASC Signal Division has had numerous successes in meeting both the portability and performance requirements with a bit of antenna origami. The company developed nomadic antennas in the 2.4 to 2.5 meter range whose lightweight carbon-fiber reflectors are divided into as many as nine pieces. A fully-motorized version including feeds weighs under 500 pounds and can be deployed by two trained people in under 30 minutes. But the antenna's mechanical properties and high-accuracy tracking mount ensure that it performs well across all bands as well as in low-PIM configuration. CPI ASC Signal Division mobile antenna. For bigger requirements, the company developed Trifold antennas with spun aluminum reflectors that fold three ways to fit in standard shipping containers for either ocean or air transport. With three-axis motorization, they feature tracking and auto-acquisition and can be configured with C-, X-, X-band Low PIM, Ku- and Ka-band feeds. A trailer mount provides fast positioning in the field for antennas ranging from 3.9m to 4.6m — substantial workhorses able to support very high throughput requirements. The world snaps to attention in the face of a natural or human-made disaster but interest quickly fades once those emergencies vanish from the headlines. The reality on the ground, however, can be different. Months or years may be required for disaster zones to partially or fully recover and their communications needs expand as disaster relief turns to disaster management. One frequent change is that antennas that were “nailed up” to a satellite to meet a short-term need become more general-purpose. To serve those needs, ASC Signal designed an outdoor version of a next-generation antenna controller that can operate one or multiple antennas from a mount on the antenna structure. This controller manages motorized mounts, stepper motors for polarization, interfacility links, and even tracking of sub-reflectors for very high performance operation. 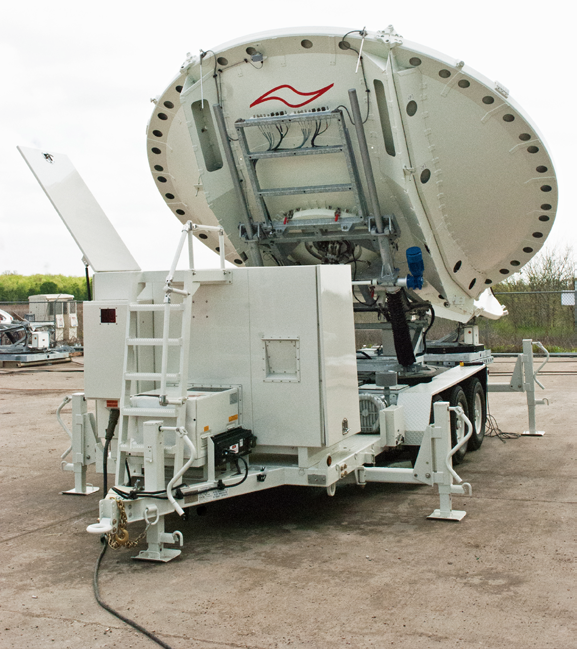 This product can turn a temporary site with one or two antennas into a functioning teleport. Antennas are sophisticated pieces of metal or carbon fiber, precision-engineered to meet the need. However, they are of little use in a disaster zone without electronics rugged enough to survive. CPI ASC Signal Division Trifold Transportable antenna. That calls for low-noise amplifiers, low-noise block down converters, block up converters and power amplifiers able to stand up to outdoor life in climates ranging from ice and snow to rainforest. The company's outdoor product lines ares specified to operate in temperature ranges from -40 degrees C up to 60-70 degrees C (-40 to 140-158 degrees F) and in humidity up to 100 percent. Everything is engineered to withstand operating conditions as well as the often bumpy ride on the way to and from the sites. Flexibility is also at a premium. For disaster relief operations, the company recommends interchangeable feeds and multi-band capability. Many of the ASC Signal systems are equipped with internal self-resetting protection that protects against temperature spikes, prime power fluctuations, RF output overdrive and open/short output conditions. There is also high value to integrated and comprehensive monitor and control functionality that can be managed remotely over a broadband or mobile connection. The company is proud of the quality technology leaving the firm's manufacturing centers. However, delivering real value requires "feet on the street." ASC Signal has been privileged to work with amazing integrators who get equipment into the country, get it to the site and get it up and running, each a major feat. During major disasters, confusion may reign — but some of the normal bureaucratic inertia of customs agencies can be set aside when lives are on the line. The stories colleagues bring home are remarkable. Installing some sites in Central America has required travel by chartered plane and canoe, with a long walk at the end, lugging the antenna, racks of equipment, outdoor enclosures and portable power. An integrator told about one site in which the installation engineer was riding shotgun with a Cessna pilot when the plane overshot the runway. The aircraft went crashing into bushes and trees and stopped just ten feet short of a river. The engineer was injured — but he hiked into the disaster site, did the installation and managed to get a plane out the next day — that's true dedication. 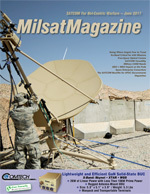 Bringing SATCOM to war-torn regions is equally difficult, even when guns fall silent. Another integrator described trucking in the portable equipment cross-country in a war zone only to find that the fully-laden truck couldn’t navigate streams. The team repeatedly unloaded trucks in the middle of nowhere, hand-carried electronics and antenna components across streams, and loaded them all back onto the truck before proceeding on their way. They also spent the entire time looking over their shoulders for signs of danger. Serving disaster sites is one of the most challenging assignments in SATCOM. A favorite story comes from a satellite services company called Disaster Truck. When a 7.0 magnitude earthquake struck Haiti in 2010, CBS wanted to provide live coverage and dispatched the company to the scene. After erecting a portable antenna, however, the personnel could not locate a generator to power the unit. With the newscaster Katie Couric soon to arrive, a solution had to be quickly invented. They ended up wiring two Haitian taxi cabs batteries together to produce enough power for the terminal and camera — the coverage went live, on schedule. That’s the spirit that the ASC Signal team, and every individual and organization in this business, brings to the locations — where angels fear to tread. 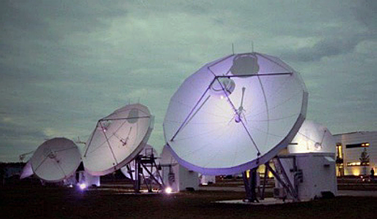 CPI ASC Signal Division, a unit of Communications & Power Industries LLC (www.cpii.com), manufactures fixed and transportable satellite antennas, high-frequency antennas, radar antennas and other specialized products. 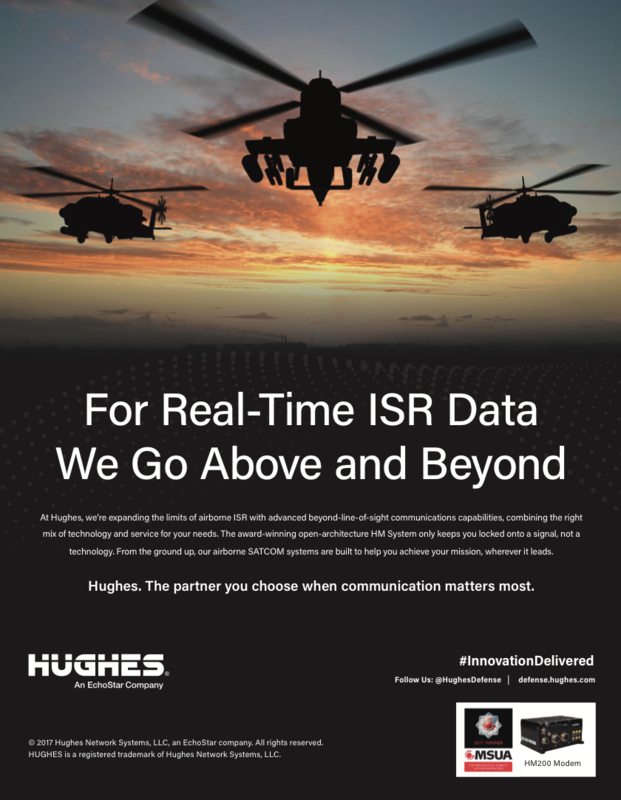 It works closely with CPI Satcom & Medical Products Division, a manufacturer of uplink amplifier products and systems for satellite communications. ASC Signal is a sister division to CPI Satcom & Medical Products Division, a manufacturer of uplink amplifier products and systems for satellite communications.